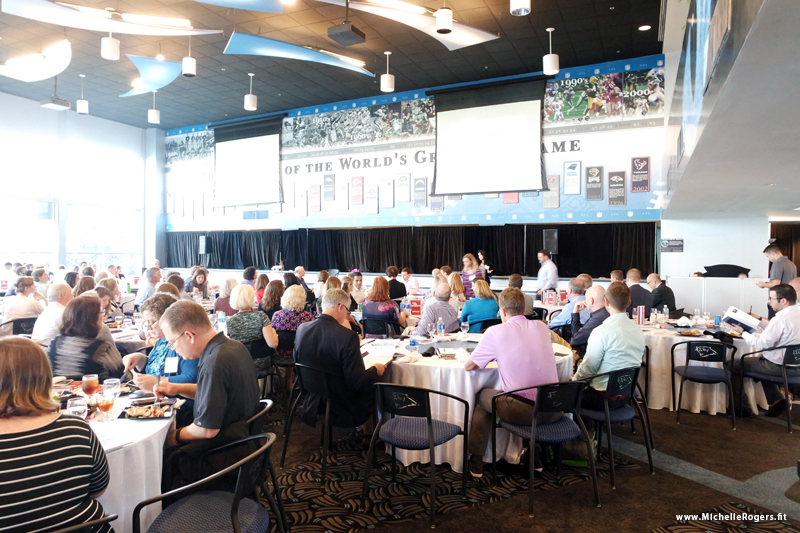 Speaking on “Small Steps for Big Changes” and workplace fitness - Michelle Rogers, Inc. 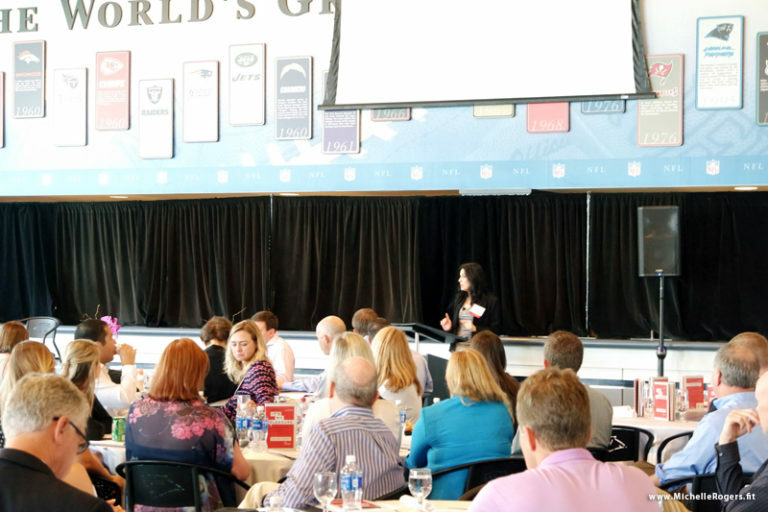 I was honored to be an invited speaker at a continuing education business event, on Sept. 29 in the Panthers Den at Bank of America Stadium in Charlotte. First of all, what a great location for a conference! 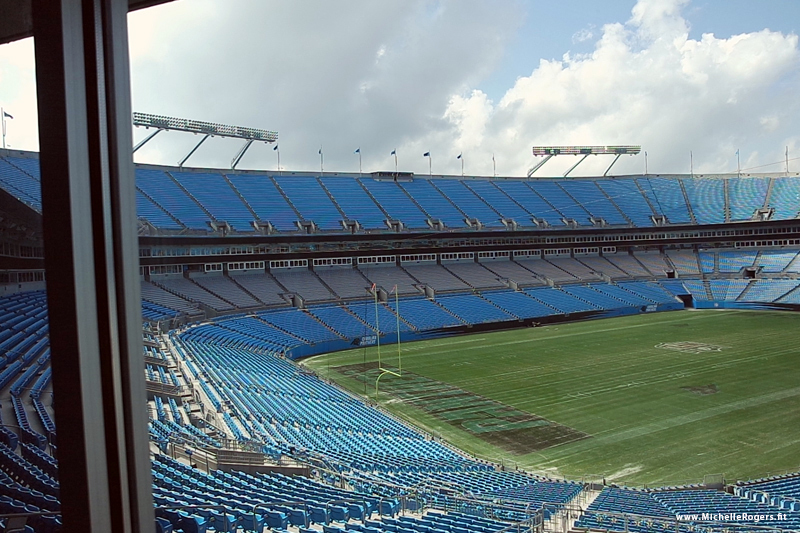 The Den overlooks the football field, and as a Carolina Panthers fan it was certainly exciting to be there. I’ve been to many conferences in my career, and this was a nice change from the typical hotel venue. It definitely added a “fun” element to the day. There were over 200 people in attendance for this 5th annual event, hosted by CliftonLarsonAllen’s Custom Accounting Solutions Team. The attendees were Certified Public Accountants there to receive continuing education credit hours. The theme of the conference was “To Feed Your Soul and Re-energize Your Mind.” While many of the presentations were related to accounting, the agenda also included a personal development section and it was within this context that I presented. The organizers asked me to talk about fitness and nutrition to a group that is typically sedentary. 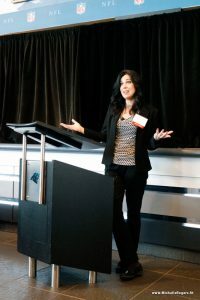 As someone who personally spent most of my career in sedentary office-based work, and lost weight and became healthy and fit while doing so, I am especially well-suited to speak on this subject and was happy to do it. In addition to my personal experience, the content I provided was sound advice informed by my professional fitness credentials. Areas covered included the eight major mindset changes that propelled me to success after years of failure, and specific strategies for healthier eating and sticking with exercise. 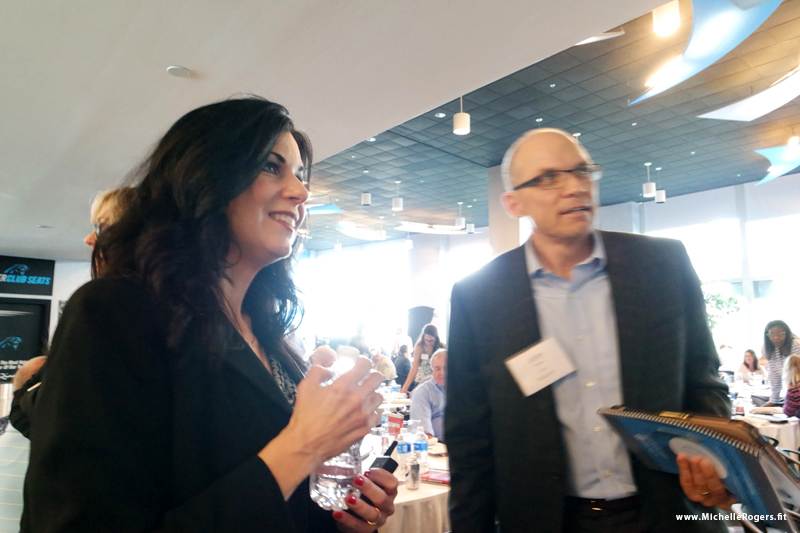 And because this was a business group, I also included tips on how to move more at work and ways to fit exercise into the workday. Then, I debuted my new 5-Minute Office Workout program and led the audience in doing the routine. It was a blast! 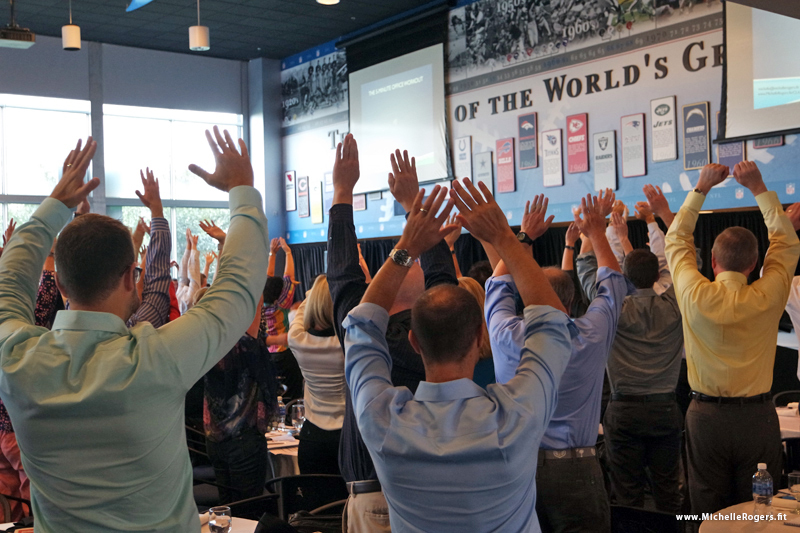 They really enjoyed the interactivity of this part of the presentation and the opportunity to get up and actively stretch. 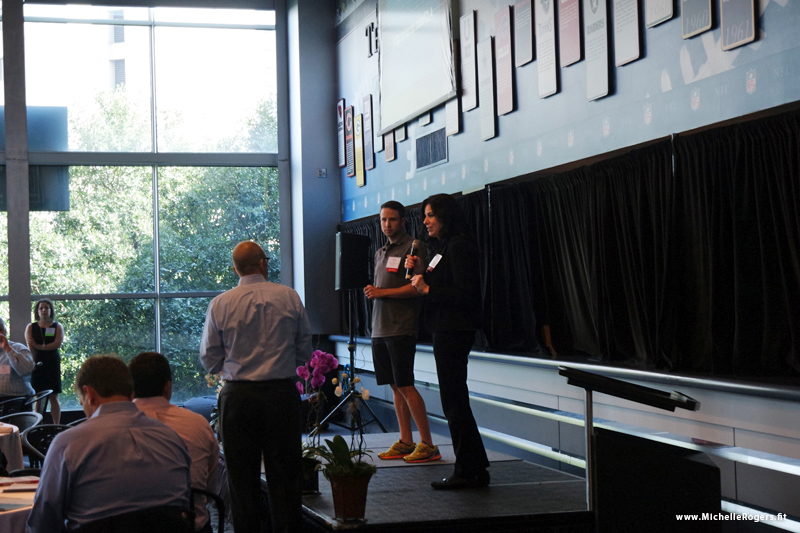 Afterwards, there was time for a brief question-and-answer session with the audience. I truly enjoy speaking and presenting workshops. If your organization is in need of a presenter in the areas of healthy living or communications, please contact me — I’d love to talk with you.